CARS.COM — By year's end, compact-car shoppers could see the quickest Hyundai Elantra yet as the automaker chases the sport-compact turf prowled by Honda, Volkswagen and others. Autoblog reports the redesigned Elantra will get an Elantra Sport variant that shares its turbocharged 1.6-liter four-cylinder with the Veloster hatchback, where it makes 201 horsepower and 195 pounds-feet of torque. Autoblog says the go-fast Elantra also will have an independent rear suspension — versus the regular Elantra's semi-independent torsion-beam rear — and a choice of manual or dual-clutch automatic transmissions. A translation of Hyundai's introduction of the Avante Sport in its home market of South Korea confirmed those details. 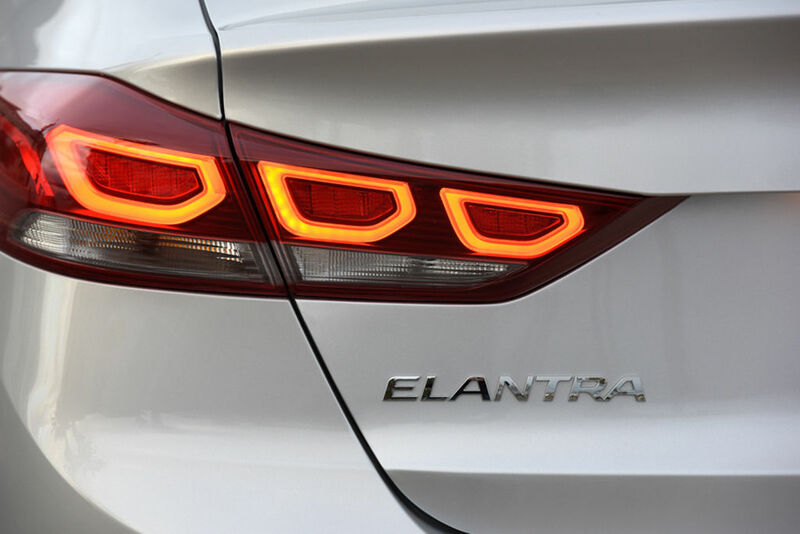 (Hyundai calls the Elantra the Avante in Korea.) If they pan out for the U.S. version, it would represent bigger changes for the Elantra Sport than the designation carried in the prior-generation car. The last Elantra Sport, around from 2014 to 2016, had a larger four-cylinder and bigger front stabilizer bars but no turbocharger or independent rear suspension. Hyundai would only confirm that an Elantra Sport is coming, but it didn't deny other specifics. "By the end of the year, there will be a turbo engine and an Elantra Sport," spokesman Jim Trainor told Cars.com. He declined to confirm any other details from Autoblog, and the admission of a turbocharger does not technically link it to the Elantra Sport, given the forthcoming Elantra Eco will have a turbo 1.4-liter engine. But when asked to deny the specifics on the Elantra Sport's engine, suspension and transmission, Trainor declined to refute anything. So stay tuned. We'll share more details when they become available.